The ultralight movement grew out of the sport of hang gliding in the 1970's, when people started to put small engines on foot launched hang gliders. The vehicles developed, became faster, more maneuverable, and landing gear were added. 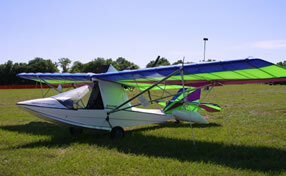 In 1982 the FAA implemented the current ultralight regulation FAR Part 103. Since then ultralight aviation has grown to become a safe and affordable recreational aviation activity. SOURCE: Docket No. 21631, 47 FR 38776, Sept. 2, 1982, unless otherwise noted. 4. Has a power-off stall speed which does not exceed 24 knots calibrated airspeed. (a) Any person operating an ultralight vehicle under this part shall upon request, allow the Administrator or his designee, to inspect the vehicle to determine the applicability of this part. (b) The pilot or operator of an ultralight must, upon request of the Administrator, furnish satisfactory evidence that the vehicle is subject only to the provisions of this part. No person may conduct operations that require a deviation from this part except under a written waiver issued by the Administrator. (a) Notwithstanding any other section pertaining to certification of aircraft or their parts or equipment, ultralight vehicles and their component parts and equipment are not required to meet the airworthiness certification standards specified for aircraft or to have certificates of airworthiness. (b) Notwithstanding any other section pertaining to airman certification operators of ultralight vehicles are not required to meet any aeronautical knowledge, age, or experience requirements to operate those vehicles or to have airman or medical certificates. (c) Notwithstanding any other section pertaining to registration and marking of aircraft, ultralight vehicles are not required to be registered or to bear markings of any type. (a) No person may operate any ultralight vehicle in a manner that creates a hazard to other persons or property. (b) No person may allow an object to be dropped from an ultralight vehicle if such action creates a hazard to other persons or property. (a) No person may operate an ultralight vehicle except between the hours of sunrise and sunset. (2) All operations are conducted in uncontrolled airspace. §103.13 Operation near aircraft right-of-way rules. 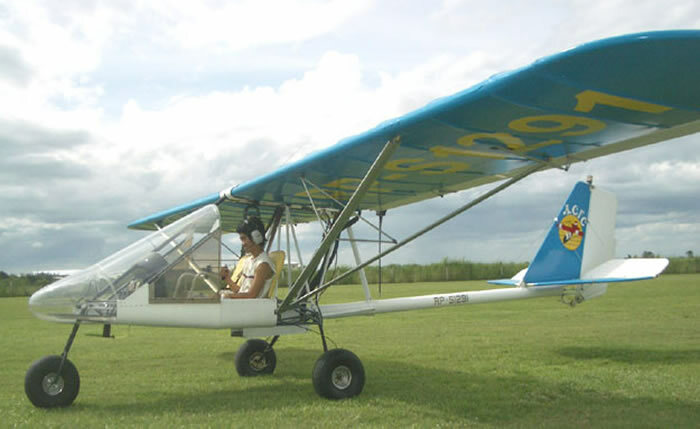 (a) Each person operating an ultralight vehicle shall maintain vigilance so as to see and avoid aircraft and shall yield the right-of-way to all aircraft. (b) No person may operate an ultralight vehicle in a manner that creates a collision hazard with respect to any aircraft. 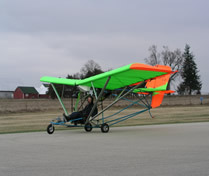 (c) Powered ultralights shall yield the right-of-way to unpowered ultralights. §103.15 Operations over congested areas. No person may operate an ultralight vehicle over any congested area of a city, town or settlement, or over any open air assembly of persons. §103.17 Operations in certain airspace. No person may operate an ultralight vehicle within an airport traffic area, control zone, airport radar service area, terminal control area, or positive control area unless that person has prior authorization from the air traffic control facility having jurisdiction over that airspace. EFFECTIVE DATE NOTE: By Amdt. 103-4, 56 FR 65662, Dec. 17 1991 §103.17 was revised, effective September 16, 1993. For the convenience of the user, the revised text follows. 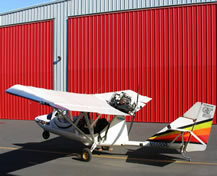 No person may operate an ultralight vehicle within Class A, Class B, Class C, or Class D airspace or within the lateral boundaries of the surface area of Class E airspace designated for an airport unless that person has prior authorization from the ATC facility having jurisdiction over that airspace. §103.19 Operations in prohibited/restricted areas. 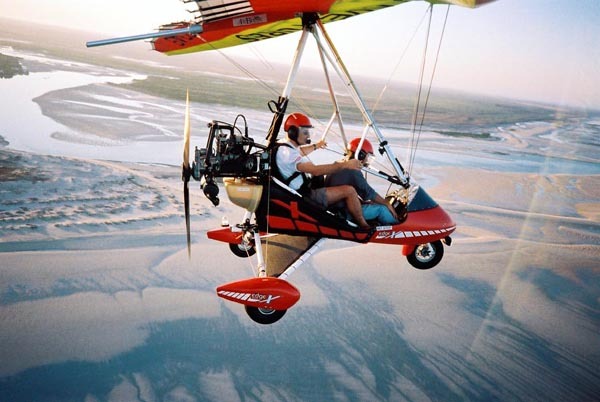 No person may operate an ultralight vehicle in prohibited or restricted areas unless that person has permission from the using or controlling agency, as appropriate. §103.20 Flight restrictions in the proximity of certain areas designated by notice to airmen. No person may operate an ultralight vehicle in areas designated in a Notice to Airmen under §91.143 or §91.141 of this chapter unless authorized by ATC. §103.21 Visual reference with the surface. No person may operate an ultralight except by visual reference with the surface. §103.23 Flight visibility and cloud clearance requirements. No person may operate an ultralight vehicle when the flight visibility or distance from clouds is less than that in the table found below. All operations in Class A, Class B, Class C, and Class D airspace or Class E airspace designated for an airport must receive prior ATC authorization as required in §103.17 of this part.